Copyright © 2018, General Insurance Association. GIIFT had certainly changed my perception about General Insurance. Prior to the internship, I had almost zero interest in this industry and did not know that insurance industry can be this interesting. I am beyond grateful for having the chance to learn how insurance business can be closely related to current economic issues, environment issues, the weather and so many more. It was indeed a valuable learning experience. GIIFT opens the oppurtunity to learn and experienced working life. A good exposure to change the perception of the public, especially the youth, on the insurance industry. It is a great platform for students that have no insurance background to join and feel the excitement in the industry. Take thi chance and join us. A wonderful platform and well-structured program with guidance from great mentors, plus opportunity of network expansion... all in all, an eye-opening experience being part of the GIIFT project especially for a novice like me. You'll never know if you haven't tried, trust me and take a leap of faith. GIIFT Program is a really great platform for students to explore general insurance industry. Curiosity towards this industry will help you to explore further. Determination and passion will lead you to achieve your goals in this industry. Participating in GIIFT Program had given me opportunity to meet industry professionals who guided me through my internship training. It was a great platform for me to learn and start off my career in the General Insurance industry. 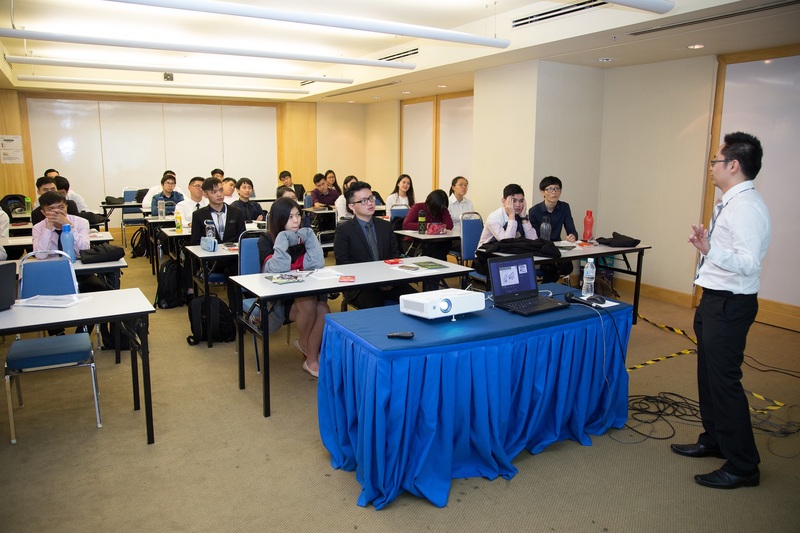 The Induction Course had prepared us well relating to general insurance industry before starting the internship training with our respective companies. I have gained valuable experience and knowledge during the 3-month training. GIIFT program gives me the opportunity to learn about the General Insurance industry as well as to expand my network. GIIFT is a complete and structured learning program to allow interns to dive into the general insurance industry. Interns are groomed from head to toe with fundamental knowledge in the industry, as well as soft skills to strive in the working environment. GIIFT had induced my interest in the industry of general insurance. 10 weeks in actuarial team in AXA Affin had taught me the ways actuarial services operate in an insurance company. The experience I gained gives me a better understanding on the whole operations of insurance industry especially actuarial roles. Overall, GIIFT offers a great opportunity to kick off my career in general insurance industry. I gained better understanding on the business operations of General Insurance industry through GIIFT. I was exposed to the operating nature of the different departments. My mentor always encouraged me to think out of the box. GIIFT Program is a good start for a student to gain insights of this industry. GIIFT Project is a good platform to learn more about the General Insurance industry because it provides interns to experience the work culture and gain better understanding of the industry. This is the career path that really suits me as a Marine Insurance student. I can explore more on how the insurance works in the marine field. I strongly encourage interns out there to grab the opportunity under GIIFT Program and explore the career opportunities available in the world of General Insurance. 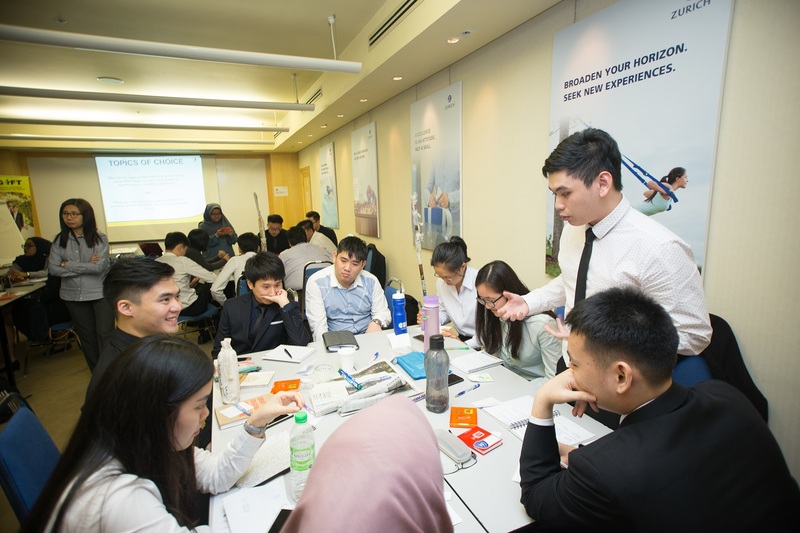 GIIFT Program is a really good platform for maritime management students to see the bigger picture of insurance industry before they specialized in maritime insurance. A big thank you to PIAM for giving me this wonderful opportunity. GIIFT offered invaluable learning experience both on the job and off the job. There were plenty of opportunities to network, meet new people, make new friends, and enjoy fun time together. My mentor at AIG had taught me a lot about the insurance industry. She has provided me guidance and encouragement and help me to succeed and advance my career. I know that my knowledge of insurance products and regulations is more advanced after my training with PIAM and AIG. It was a wonderful experience to gain real working experience in the industry related to my course of study. GIIFT is a well planned and structured program in enhancing awareness on general insurance industry. GIIFT is absolutely eye-opening experience for me. During my training at Etiqa, I was exposed to sophisticated business analysis procedures and decision making strategies. I finished my internship feeling optimistic about a promising career prospect in this dynamic industry. GIIFT Program provided me with a valuable experience. Other than being introduced to the General Insurance industry, I also learned about the various aspects of a claim process and other business operations with the host company. It was a very interesting and fulfilling three months I went through. My host company provided me with a platform to gain more insight into the general insurance industry. I have enjoyed my journey under GIIFT with knowledgeable mentors to guide me through my 3-month training. General Insurance is a growing and booming industry. I had a great experience working in the industry through GIIFT. I would like to express my gratitude to my host company for providing me such a great working environment and opportunity to explore more about the industry. Join us to be one of the GIIFT interns. I was blessed to have the opportunity to serve in a multinational company. The experiences in carrying out different tasks in the company open up my mind towards the General Insurance Industry. These experiences and knowledge that I have gained are very valuable to me. Many thanks to PIAM. GIIFT Program is an excellent platform for students to gain experience in General Insurance. I have learned useful technical skills as well as soft skills which will help me to progress in my future career. This program indeed broadens my knowledge in General Insurance industry. I've learned so much about the General Insurance industry with experienced and patient individuals. The GIIFT Program was fantastic for me as it showed me that you can come from any background and still do well in the General Insurance industry. It is a wonderful experience. The training cultivated my interest in general insurance field. General Insurance will be the first option of my future career choice. GIIFT is a great exposure opportunity for those who are interested in General Insurance industry. I feel proud and thankful that I had enrolled in this program, I could hardly experience that much without GIIFT. It was an amazing and exciting journey. General Insurance is a noble industry, it is a decent profession to be pursued. I am grateful to be given opportunity to join GIIFT Program to learn about the real world of general insurance industry. The 3-month internship with my host company was a fruitful journey with great exposure and hands on experience. GIIFT is definitely a great program. Throughout my internship, I gained priceless knowledge and valuable experience that cannot be found in books. This would give me a clearer perception of the working world which would help me in my future endeavour. Thank you PIAM for the opportunity. After joining GIIFT, I have changed my perception about the General Insurance (GI) industry. I have gained insight to the world of GI and aware of the career opportunities available. The experiences gained will definitely aid in my future career in GI. GIIFT is a well structured internship program which always ensure the intern has walked away with great experiences. During my 12 weeks internship at MSIG, I was exposed to various aspects of General Insurance industry. Besides, it has given me the chance to interactive with senior management and key industry players. It is a great platform for those who are looking for a great internship opportunity and intend to pursue their career in General Insurance industry. During the 3 months internship period, interns were given induction session that really helped us to be prepared and confident about ourselves before joining our host companies. I gained lots of useful take away knowledge in Finance and Reinsurance departments. I couldn't have gained any of them without a good support from my mentors and colleagues. GIIFT will be a good platform for you out there to know how the general insurance industry works. It will be a fun and exciting experience even for those who are not studying actuarial science degree. Thanks to GIIFT for giving me this opportunity to learn about the General Insurance industry. It was an eye opening learning experience. Overall, the GIIFT is a great program not to be missed. My experience with Munich Re was amazing and fun. As a novice, with the constant guidance and patience help from my mentors and colleagues, I have managed to learn the fundamentals of General Insurance business. I would encourage my juniors to participate in GIIFT Program. Participating in GIIFT is definitely an enriching and fruitful experience I ever had. Being attached to the Actuarial and Underwriting Departments, the 3-month training was a real eye-opener to me which had given me a better insight into the industry and it is an amazing experience working with experienced practitioners of the industry. Thanks to PIAM for giving me this valuable opportunity! I am grateful to be given a fruitful and rewarding internship experience offered under GIIFT Program. I had gained insight into the General Insurance (GI) industry. I used to have narrow perspective about the career prospects in the GI industry. However, GIIFT has offered me not only opportunities to explore the nature of the industry but has also opened up my mind to more career options. My sincere thanks to PIAM for giving me this opportunity to join GIIFT. This internship helped me to widen up my mind about general insurance industry. Although not as simple as I imagined at the early stage, this internship experience turned out to be very fruitful and rewarding at the end. Prior to joining GIIFT Program, I was only equipped with theoretical knowledge in General Insurance. The experience and exposure gleaned over the 3-month were indeed valuable which I will definitely will include Insurance Underwriting as one of my career choice in future. It has been a great experience and fascinating journey under GIIFT Program. I was given the opportunities to help up in projects and tried out assignments not related to my field of studies. I am proud to be one of the alumni of GIIFT. The GI industry has a wide range of job opportunities for those who want to make Insurance their career path no matter which discipline you are doing in your university. Join us and participate in GIIFT. I am proud to be part of GIIFT Program. I was guided through and given hands on experience in the Human Resources Department. My mentor and colleagues were helpful and knowledgeable. I strongly encourage undergraduates out there to explore and experience the GI industry through GIIFT Program. GIIFT Program is the first stepping stone for me to manoeuvre into the world of General Insurance. I gained invaluable knowledge on general insurance under the guidance of my dedicated mentors. GIIFT Program is definitely a good platform for anyone who is interested in exploring careers in this noble industry. My internship experience here has been nothing short of spectacular. Work-wise, I gained experience and picked up technical skills that will assist me in my future endeavours. Socially, there were plenty of opportunities to network and mingle. Life is a journey with many stops, and this was an amazing one. Through GIIFT, I have learned so much that impacted my present and future in so many ways. I was given the opportunities to witness and gain first hand experience at the Actuarial and Claims Department. It is really a privilege to be part of this internship program. My internship training in claims department was one of the unexpected events in my life because it helped to widen my perspective towards insurance industry. I learned the technical skills and work processes from helpful mentor and colleagues. Project GIIFT is an excellent platform that allows you actual learning experience in GI companies. I have learned that bonding, networking and teamwork amongst colleagues are closely knitted. GIIFT is a program worth a try. Project GIIFT is an outstanding platform providing opportunities for interns to connect with General Insurance industry. Job rotation had enabled me to experience more about the work nature in different departments at my host company. My training experience in the Claims Department has made me realized that it's always a good feeling in helping customers to expedite their claims settlement while making sure they're genuine. I have enjoyed my internship experience under GIIFT Program with a committed team at my host company. During my internship I learned a lot on the operations and work flow of Admin & Human Resources Department. I gained a valuable experience from the guidance and sharing by my mentor & colleagues. The training & support provided really could help me face the real working environment. My gratitude to PIAM for the opportunity given. I would recommend undergraduates who are keen to explore GI industry to participate in GIIFT Program. GIIFT opens up my mind on General Insurance(GI) industry. This is a great platform to raise awareness and clear negative perception of the public on GI industry. Overall GIIFT is a great program with structured and well planned learning itinerary for the interns. Through GIIFT Program, I was given the practical training in a workplace environment. Under the guidance of my mentors, I was able to cope with the tasks assigned to me in the respective departments. I was and still am amazed by the diversity of the product portfolios in this profession. The experience is truly a wonderful GIIFT for me. The General insurance industry has a lot of potential for growth and requires talents from many different disciplines. GIIFT Program opens up the opportunities for young talents like me to join the GI industry. GIIFT had given me a valuable opportunity to understand more about GI Industry. With vast exposure to real-work environment in selected insurance company, it provided me with actual work experience to prepare me for future working journey. It also opens up my mind on many interesting aspects of GI. For all the undergraduates out there, come join GIIFT and you will be surprised and appreciate the learning experience. The General Insurance Internship For Talent (GIIFT) Program has taught me a lot and help me to grow both personally and professionally. The experiences are valuable as I do not only gained the knowledge of the insurance industry, but also the vision, enthusiasm and aspiration of the community around it. In my opinion the career prospect in general insurance industry is really good. Project GIIFT is a great program for university students because they can learn in depth about the industry. My advice for the future intern is, please enjoy as much as you can during this program because trust me you will never forget the experience. It's my honour and pleasure to have the opportunity to be part of Project GIIFT. The practical and hands-on learning experience provided me interpersonal skills and technical knowledge about General Insurance. Throughout this program, I managed to expand my connection with the other interns and also the industry specialists. Overall, this internship had been an eye-opening experience, and exceeded my expectations! GIIFT is such a good learning opportunity to provide exposure on knowledge beyond the classroom. I have always been in a dilemma about my future career path. Yet this internship experience had given me some directions and indications of where I should pursue my career. I was given hands on experience during my internship at Etiqa, and apply some of the knowledge I have learned in University. I was given challenging tasks but managed to accomplished my tasks under the guidance of my dedicated mentors. Practice make perfect. Here's some words for future intern, eager to learn is way to success. GIIFT provided us with the best possible platform/avenue to grow our interest in general insurance. Undergraduates should not limit their career choices to what they have learned in the university, but should explore other fields. Believe me, General Insurance industry should be one of these fields you should consider. GIIFT is a truly amazing program that develop and polish soft skills, job skills and communication skills. This program had helped me to build my confidence to interact with my colleagues. I strongly recommend for fresh grads to join this program to gain a better understanding of the GI industry. PIAM GIIFT Project truly provided a great experience on exploring the field of general insurance and great insight on the overall industry growth. 3 months of internship is beyond my expectation and had triggered my interest in pursuing my career in general insurance industry. I strongly believe that there is a bright future for those who intend to pursue their career in general insurance industry. I cannot thank PIAM enough for giving me this opportunity to be a part of Project GIIFT. It is a good platform for those who are keen to join the general insurance industry. Being one of the important components of the financial services sector, General insurance industry has a lot to offer. Project GIIFT has given me an extraordinary opportunity to learn from many dedicated and talented people in the industry. I realised that the GI industry is another option we can consider to build our career. “Awesome” is the only word that can describe my enjoyment during my internship period. Stepping into the insurance industry that I had never imagined before was truly amazing. I’m so grateful to be a part of Project GIIFT and I believe this is my platform to start my career in the GI industry after my graduation. Project GIIFT provided us a good platform for us to experience general insurance field. As an actuarial student, it is one of my dream to work in am insurance company. With the 3 months internship training in actuarial department, I had gained hands on experience in doing model pricing and dealt with tones of data. My advice to undergraduates out there – join us and be part of project GIIFT. GIIFT has certainly been an important learning process for me. Since I have been assigned to the processing centre department, I was able to witness the process of how to issue the insurance’s policy. All the knowledge that I gained are invaluable and I feel grateful towards PIAM for given me the chance to be one of the GIIFT participants. Project GIIFT had given me a wonderful experience of working in an insurance company. There are great opportunities for me to choose to build up my career in the GI industry. I had learned a lot while working in this industry especially in communications skills and the importance of team work. A big thank you to PIAM for giving me this invaluable opportunity to have a working experience in general insurance industry. I learned a lot of things during my internship especially regarding actuarial work. My technical skills also have improved a lot during doing the job. I was exposed to various kinds of products offered by my company and I also given opportunities to participate in some projects. My mentor and colleagues were friendly and dedicated in guiding me throughout the internship. Overall, GIIFT had given me a good overview of the industry and I will definitely recommend it to my friends. I had gained invaluable experienced during my internship. Project GIIFT is a great platform for undergraduates to get exposure on GI industry. I will certainly recommend it to my juniors to take part in future GIIFT intakes. Project GIIFT had give me an opportunity to learn about GI industry even within a short time period. I had gained exposure and hands on experience on many new things which were not thought in classroom. My learning journey under GIIFT Project was awesome! I have gained a lot of experiences and this program has widened my knowledge and understanding about General Insurance Industry. I am very happy and grateful to be part of the program which is very beneficial for me. I’m more than just grateful to be enrolled in Project GIIFT and assigned to Lonpac Insurance and embarked my journey in the corporate world. Throughout the whole internship, I’ve been guided well by my colleagues and flooded by the knowledge. In my humble opinion, GIIFT Program is a very good platform for young talents to gain an insight onto what and how is a general insurance company operates. As long as this project continues, I believe more young talents will gain awareness of GI industry. During my industrial attachment with Zurich Insurance under GIIFT, by participating in work integrated learning not only I had gained clear insight into the insurance industry, but also further widened my future career prospects which nonetheless turned out to be a fruitful and insightful experience for me! I've been given a great introduction to general insurance under GIIFT Project. During my 3 months internship in Zurich, I had the opportunity to go under claim and underwriting departments. I was able to carry out analysis, understand the policy structure and also attended client meetings. This program gave me a new perspective about GI industry. Overall, GIIFT is a great program to understand more about general insurance and also get to know how insurance industry works. My 12 weeks internship experience had been truly exciting, fulfilling and rewarding. I am so fortunate and grateful that GIIFT had given me such a good opportunity to gain a deeper insight into the General Insurance Industry. I will definitely consider General Insurance especially Reinsurance Department as a future career option. GIIFT is a good platform for the young generation to learn more about how a insurance company works. Thank you GIIFT for giving me this great opportunity to take first step into General Insurance industry. This internship was very challenging for me and I will never forget what I had learned. There is more than meets the eyes as any general insurance company is supported by various companies from differing industries. Opportunities are abound if, you are up for the challenge. GIIFT has the potential to be a major internship application platform for general insurance companies in Malaysia. My advice to other interns - begin with an open mind, end on a good note. All in all, it was a good experience with new things to learn and new people to connect with. Before I join GIIFT Program , I barely know anything about General Insurance. Realizing it is more than that after a roadshow, I decided to give it a try. Turns out that I actually had fun learning how general insurance companies operate. The people there are very helpful too! Thumbs up! I would like to extend a huge appreciation to PIAM for initiated such a wonderful program - GIIFT. My journey with OAC was indeed a fulfilling and fruitful experience. I enjoyed for having the privilege to be exposed to the professional industries and how relevant concepts were applicable in it. Their sharing had provided me a deeper insight towards the General Insurance Industry! Being part of such a brilliant and dedicated team had been a memorable experience, and these had also uplifted my skills and I believe I could achieve my professional goals more quickly in the future. Besides that, I would say that the work opportunity is wide open in the General Insurance Industry. I strongly believe, that there are many varieties of knowledge that an individual is able to obtain through this magnificent industry. Lastly, a huge congratulation wish to PIAM in organising such successful and valuable GIIFT Program. It is absolutely a “gift” to the interns. My internship at QBE as part of the GIIFT Project has provided me with a broad view about the general insurance industry and its potential for me to grow in my career. I definitely believe that everyone should take the opportunity to learn and grow from this program. Don’t confine yourself to one department that you think you might like. Try out something different because you never know what may suits you best. As an intern in Zurich Insurance under GIIFT, I have accomplished tasks that were assigned to me such as damage evaluation and claim processing, not to mention attending training programs which had further enhanced my understanding in different business lines of general insurance. I really value this experience where I learned the importance of communication skills and teamwork. GIIFT is a great training program for those who wanted to gain experience in General Insurance Industry. Through this program, I learned a lot about the different functions and roles in the General Insurance Industry. Besides, my company also exposed me to training experience in other fields such as underwriting and claims which is out of the field of my studies. Lessons well learned. Doing my internship at an internationally known insurance company under Project GIIFT had broaden my knowledge and perspective on the general insurance industry. I was exposed to hands on analysis on a particular insurance, and the chance to learn about the functions of the various departments in an insurance company. GIIFT project also connects students from different universities from different study disciplines, enhancing the talent pool in the general insurance industry. It’s definitely an eye opener! I have gained valuable experience in the General Insurance Industry. During my Internship, I was able to learn about how to deal with people (agents, underwriter and clients), and different aspects of the General Insurance Industry. Project GIIFT had provided me a better understanding on the importance of General Insurance. One of the great things about the GI industry is that the industry is suitable for students from all study disciplines. GIIFT had given me an important learning experience. My 3-month training had really helped me in improving my communication skills. GIIFT also helped me to gain better understanding on General Insurance industry. Project GIIFT is a great opportunity for young people like us to learn about GI industry. I, prior to having almost zero knowledge on the General Industry, have learned so much on GI and an Actuary's role in the whole process, mainly Reserving. Due to the vast expansion of Actuarial teams in all insurance companies, I believe Project GIIFT will be very successful in the employment of actuaries in the General Insurance Industry. Thank You GIIFT and Thank You PIAM. This program had allowed me to hone my skills especially those in my field of studies and had also given me a comprehensive knowledge on the General Insurance Industry. I really valued this experience as the program has given me the required experience necessary to enter the industry. Glad to be part of GIIFT and a summer break well spent. My GIIFT experience has been awesome! During my internship, I met all kinds of amazing people and developed a better understanding about the General Insurance Industry. The Industry has proven to be more interesting than what I had in mind. Overall, a summer well spent! I am lucky to be one of the GIIFT interns. I have gained lots of experience and insights regarding this industry throughout my internship training. GIIFT had enhanced my perspective towards General Insurance and how the industry work to a whole new level. This experience had definitely furthered my interest to pursue a career in the GI industry. I am glad that I have participated as an intern under GIIFT. Throughout my industrial training, I have the opportunity to learn so much more on GI industry. I have gained the relevant experience and built up my confidence to prepare me to work in the GI industry in future. I am fortunate to have the opportunity to participate in GIIFT Project. I have learned a lot about the daily operations of an insurance company. I feel a sense of belonging as everyone including my mentors at BSI guided and treated me well. I will recommend my junior to take part in PIAM project GIIFT. GIIFT had been a wonderful learning experience to me. I was given an opportunity to interact and learn from the company's senior management during my internship training. Their sharing had broadened my knowledge with regard to GI industry. I would definitely consider joining the industry upon graduation. My sincere thanks to PIAM for this marvellous opportunity. The Induction Course had provided me a good overview of the operations and career opportunities in the GI industry. The 3-month internship in ECM team of QBE Insurance had helped me grew both personally and professionally. All in all, GIIFT is a good platform for those who would like to explore and work in GI industry. Project GIIFT truly helped me to gain an in-depth understanding of the GI industry. I had gained valuable insights from the guidance and sharing of experiences from my seniors. I had the opportunity to interact and work with senior management. It was an invaluable experience beyond the scope of what we have learned from books. GIIFT has given me a good introduction to general insurance and invaluable learning experience. I was able to work with industry professionals, gained valuable knowledge under the guidance of my mentor and colleagues. During the 4-month internship, I have gained a lot as it was a good platform to apply what I had learned into practice. My appreciation to my mentor and fellow colleagues for their guidance and sharing. My sincere appreciation to PIAM and QBE Insurance (Malaysia) for giving me this golden opportunity to be one of the talents under GIIFT Program. GIIFT project has provided an excellent platform for me to explore the world of GI. Throughout the internship period, I was expose to working with experts in the Actuarial, Pricing and Claims Departments. This indeed had allowed me to apply the theoretical knowledge learned in my University into practical works. A sincere appreciation to PIAM for this precious opportunity. GIIFT has given me an extraordinary rewarding experience as I was given the opportunity to be engaged in the GI sector for my first working experience. I have gained diverse practical insurance knowledge and at the same time develop great interpersonal skills. I strongly recommend GIIFT project to my juniors. I am very fortunate to have the opportunity to do my internship in Lonpac Insurance under PIAM GIIFT Project. I have learned so much after being rotated in various departments such as Underwriting, Reinsurance, Claims, Actuarial and Marketing. Thanks to PIAM and Lonpac Insurance for the wonderful experience. I'm grateful for being chosen to participate in GIIFT Project. I have gained invaluable knowledge from my internship training. I will strongly encourage other interns to participate in GIIFT. It is no doubt a great privilege to have been accepted to do my internship under Project GIIFT. It provided me with an insight into GI industry that added much value over and above the lessons taught in my University. GIIFT is indeed a superb platform to attract young talents to the GI industry. Throughout my internship training, I was given hands on experience in the underwriting of general pricing. I am glad to be part of GIIFT project as it is a structured program to allow undergraduates to learn more on General Insurance. Thanks PIAM for giving me this opportunity to do my internship at Etiqa Insurance. It was a great internship experience as I was able to learn more about GI industry, particularly the work nature as an Actuary. I strongly recommend my juniors to participate in GIIFT Project. Always give it a 200% in everything you do. Be enthusiastic and meticulous in your work, ask questions when in doubt, these are some of the worthy attributes I have gained during my internship with Etiqa Insurance. My 13 weeks internship in Etiqa Insurance Berhad was interesting and enjoyable experience. I was given the opportunity to know about bancassurance operations and was able to gain valuable experiences from these professionals. GIIFT has given me a great introduction to the GI Industry. I would definitely recommend GIIFT to undergraduates who are considering career in GI industry as one of their career options. As a mass communication student, I had no idea what is General Insurance before. Thanks to GIIFT, I learned a lot from my mentor and the company as well. It was a wonderful experience! I urge undergraduates out there to grab the opportunity to join GIIFT. Thanks to GIIFT for giving me this invaluable opportunity to do my internship in QBE Insurance. It was a great time and the best decision I had made for my internship. I really valued this experience as it helped me to develop skills in communications, teamwork and process mapping. I am certain that this experience will come in handy in my career. The structured program of Project GIIFT is an excellent platform for undergraduates to learn about GI industry. I was interning at Lonpac Insurance Berhad for three months and the training was definitely a fruitful and wonderful experience. The practical experience was extremely helpful for me to get ready for future challenges. Participating in Project GIIFT has certainly been an awesome experience for me. Prior to the internship, joining the Life Insurance industry was my priority career option. However, the learning experience I had gained in Tune Insurance had totally changed my perception on GI. The knowledge and experience that I learned over the 12 weeks were indeed valuable. I am glad to be part of GIIFT. I am very delighted to be part of PIAM's GIIFT Program as I had the opportunity to learn and experience from the general insurance industry. This had provided me a head start in knowing the overall function of a general insurance company and to prepare myself before joining the industry. GIIFT is simply a hands on and wonderful platform to know more about General Insurance industry. This is very important as General Insurance is an important and growing sector in Malaysia. I’m pretty sure years later, when I look back, I will be grateful and thankful to GIIFT for this awesome and worthwhile experience! My 12 weeks internship with QBE Insurance (Malaysia) Berhad has given me a valuable experience in the general insurance industry and also an opportunity to utilize my knowledge and skills learned during my degree effectively. I will definitely recommend GIIFT to those who are looking to explore and consider career in the general insurance industry. I was blessed that I had enrolled in Project GIIFT. Throughout the training, the knowledge gained about the general insurance industry was an eye opener. Thanks to PIAM for this amazing experience and it will definitely help me to prepare for my future career. GIIFT has provided a truly great platform to discover and gain insights about the General Insurance industry. The 12 weeks internship with Zurich Insurance had been extremely fulfilling. It allowed me to learn valuable corporate skills. It’s truly a privilege to be part of the program. GIIFT allowed me to understand more about General Insurance industry. My experience was better than expected as I was exposed to the entire structure of the company. I am very grateful for the opportunity and firmly believe that this valuable experience will be a great help to me in future. 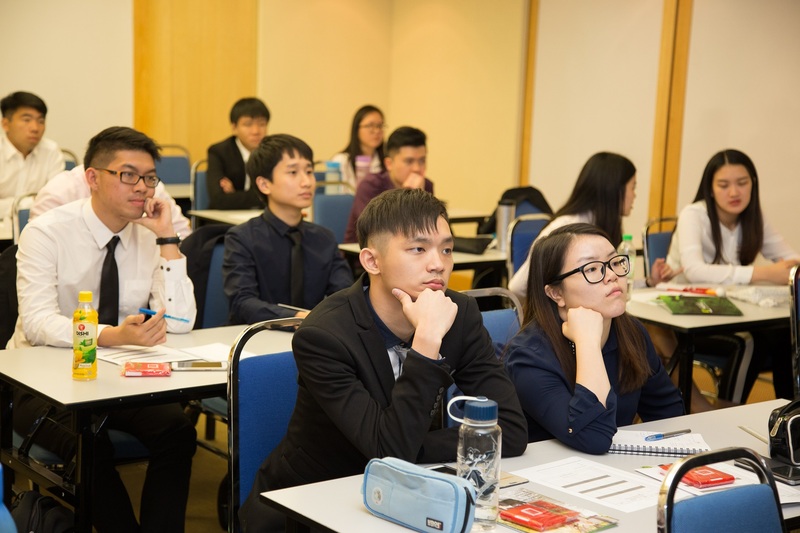 Participating in project GIIFT is definitely the best decision that I have ever made, for it provided me an opportunity to gain valuable insights into the General Insurance industry. My 3-month internship was incredibly interesting, fulfilling and fruitful. Thanks to GIIFT for the internship opportunity. I have gained lots of knowledge on general insurance which was not taught in University. I learned how a GI company operates and the daily functions of the accounts and finance department. It was a fulfilling, fun and exciting 3-month experience. GIIFT is practically the right exposure platform to those who wish to learn more about GI industry. I am glad that I was given the opportunity to undergo this structured internship program. I gained hands on experience and exposure in the various departments. I will like to encourage undergraduates who are keen to explore GI industry to join GIIFT. It was a great honor to have been chosen as part of GIIFT project and I have found that General Insurance is a very interesting industry. GIIFT has benefited me a lot and I was very lucky to meet a group of good colleagues, especially my supervisor for her thorough and patience guidance. In short, I would definitely consider General Insurance industry as a future career option and a big thank you to GIIFT for this wonderful internship experience! I learned the functions of a branch operations, particularly the working relationships amongst agents, brokers, clients and branch offices. I have gained experiences and knowledge about GI industry beyond what was taught in my University. I hope Project GIIFT will be on going for a long time and allow more undergraduates to benefit from it. GIIFT is a platform to create awareness and enhances the knowledge of younger generation on General Insurance. I have gained valuable knowledge on processing of claims during my 3-month internship in Claims Department. GIIFT Program has certainly given me an opportunity to learn more about the GI industry. Overall, my 3 months experience as an intern at AIG was amazing. I have learned to be dedicated in my work and never be afraid to take up new challenges. It was truly a valuable experience with GIIFT in my host company as I personally gained a wealth of knowledge and techniques that will be very useful in the future workplace. GIIFT has undoubtedly incorporated both fun and learning into the training so don't miss out on this opportunity. I am grateful that GIIFT has given me the opportunity to see so much more about GI industry than I am able to learn in the classroom. Many skills were developed throughout my internship. This program is undoubtedly a stepping stone for me to achieve greater success in this industry. I am very grateful to be given this opportunity to gain hands on experience under Project GIIFT. It has provided me an overview on GI industry. I have learned so much more about GI industry within the 3 months internship at Claims Department of Tune Insurance. I definitely will encourage my juniors to take part in Project GIIFT. GIIFT Internship program has opened the first door for me to step into the general insurance industry. Being an intern at Lonpac Insurance provided me brief yet sufficient exposure at various departments such as underwriting, actuarial, claims, etc. With dedicated guidance from my mentor, I am confident and ready to contribute to this industry upon my graduation in April. GIIFT is an amazing platform for interns to gain better insight into GI industry. Throughout my internship, I not only acquired technical skills but also had opportunities to network with industry practitioners. My sincere gratitude to PIAM for investing their time and effort in this meaningful program. A great platform and effective program with dedicated mentors. Allow us to gain hands on experience before joining the industry. This is important for students like us as General Insurance is an important and growing sector in Malaysia. My sincere thanks to PIAM for giving me this opportunity to do my internship at Berjaya Sompo Insurance-Marketing Franchise. The past 12 weeks spent interning under Project GIIFT had been a challenging but fun experience, an excellent opportunity for new graduates to get an introduction to the various departments and processes of an Insurance Company. It allows us to explore more job options while expanding our networking. Project GIIFT has given me a wonderful working experience in GI industry. I am grateful to have learned from knowledgeable mentor and colleagues that always guided and helped me during my learning journey. This will be a stepping stone for me to venture into the GI industry. I would surely recommend to others who have some interest in GI industry with relevant degree and background. My take away as a GIIFT intern - when and if there are limitations, repackage them into your assets and capitalise on them. Project GIIFT has allowed me to explore the world of GI and gained invaluable work experience. I felt very welcomed and will certainly encourage my juniors to join GIIFT. GIIFT is definitely a great training program. The Induction Course prior to the commencement of my internship had prepared me some important basic knowledge in GI industry and strengthened my communication skills. It is also a great and well-structured program where it provides us the opportunities to learn from great mentors and opportunity of network expansion. Nothing in life is more valuable than obtaining useful and great experiences; Project GIIFT is one of the platform that many future talents will be able to benefit from. As an intern under Project GIIFT, I have gained a lot of exposure and knowledge in GI industry. I have learned about professionalism and work ethics in the working environment. This is certainly a good platform for interns to explore the GI industry. During these 3 months of internship at Tune Insurance, I have really learned a lot about GI industry. I highly recommend anyone who wants to join and know more about the general insurance industry to go for the Project GIIFT as it is a good platform to start with. My 4 months internship at Malaysian Re has given me the opportunity to experience, practice and understand the underwriting processes with my mentor, supervisor and colleagues. This internship has allowed me to gain valuable experience from industry experts. A big thank you to PIAM and Malaysian Re for the wonderful experience. Through Project GIIFT, I was given the practical training in a workplace environment. Under the guidance of my mentors, I was able to cope with the tasks assigned to me in the departments. I met many amazing people and developed a better understanding about the GI Industry. I am happy to say that Project GIIFT has given men this golden opportunity to work in GI Industry. My supervisor and mentor were extremely helpful whenever I needed help. 12 weeks spent under GIIFT has been rewarding. My internship with Lonpac Insurance Bhd has been a great experience. Through the rotation in the various departments, it was definitely a great exposure on overall operations of a general insurance company and range of products they offered. After joining the industry, I realized the importance of actuarial role in a company. I have had a really good experience during my learning in the company and it certainly helps in preparing for my future career path. To all future interns, please do explore the GI industry as another career option. The 12 weeks experience really enriched my knowledge towards the General Insurance Industry. I have learned a lot from the mentors in dealing with clients on selling and negotiation skills. My advice for my juniors is to take up the challenge in your work place as this is the foundation for you to succeed in your career. The enriching GIIFT Program has given me a chance to explore and expose myself to the general insurance industry. Under the guidance of my mentor, I gained experience and technical skills that would benefit me throughout my career. I have enjoyed this journey together with GIIFT and my host company and would recommend it to students who are interested to venture into this field. It was a wonderful experience to dive into real working environment related to my course of study. I gained hands on experience in the business operations of Reinsurance operations. I’ve learn so much alongside industry experts. All in all, a big thank you to PIAM for giving me this fantastic opportunity. Being accepted to do my internship under GIIFT has given me an insights into the wide range of career opportunities in the GI industry. I enjoyed the learning process and found it really interesting once we were exposed to the actual work place operations. Joining Project GIIFT has enhanced my understanding about GI industry as well as the career prospects it offers. The networking opportunities had allowed me to learn from industry practitioners. It is a wonderful program. My appreciation to PIAM for giving me such a great opportunity to learn about the GI industry. I shall summarize / describe my internship experience as Enriching, Insightful and Awesome! Participating in Project GIIFT was an eye opening experience. It allows me to understand more about the General Insurance industry. With the help of my dedicated mentor, it really makes me strive hard to become a good underwriter in the future. GIIFT project has certainly been an amazing and fruitful experience for me. It provides me an excellent platform to gain technical skills and actual learning experience in General Insurance industry. The job rotation had been a fantastic journey that allowed me to learn and experience more. GIIFT has given me the opportunity to get exposure on actual operations of the industry, the tasks and responsibilities involved. Like Albert Einstein said, “The only source of knowledge is experience.” The experience gained during the internship will be my source of knowledge to prepare for my future career. My internship experience through Project GIIFT was wonderful. With the guidance of my mentor and colleagues throughout the journey I gained valuable knowledge and insights about the industry. GIIFT provide internship opportunities to undergraduates from different field of studies to explore the world of general insurance. It definitely will be beneficial to students. Project GIIFT is a great platform for young talents to explore General Insurance industry in depth. Given this opportunity, I gained knowledge on reserving method and improved my technical skills which are beneficial to my future career. Don’t be afraid to make mistakes, be afraid of not learning from them. My internship experience at Tune Insurance Malaysia Berhad in Pricing Team has been priceless. It has given me real world experience. Thanks to PIAM for giving me this opportunity. I am blessed to be given an opportunity to join Project GIIFT . Throughout my internship at Lonpac Insurance, I have learned some technical skills which will help in preparing for my future career. I was being exposed to different departments job functions. I also improved my social skill through working with friendly colleagues through team work. Thanks to PIAM for giving me this opportunity to explore the world of GI. Project GIIFT is an excellent project that provides us such a good learning opportunity about a lot of things that are much different in campus and from books. It was a wonderful experience. I will strongly recommend my juniors to take part in this program. GIIFT provides a good platform for interns to gain more knowledge about general insurance. It is also a good chance for newbie like me to experience the real work environment in this great industry. Grab this opportunity to learn as much and develop your work skills to prepare for our career in the GI industry. Thanks to PIAM for this opportunity. Project GIIFT is an excellent start to anyone who wishes to pursue their career in the GI industry. GIIFT is well designed / structured program to allow its participants an amazing and meaningful learning experience. I have very much benefited from Project GIIFT and now I am ready to start my career. I wish luck for the next batch joining GIIFT and I hope you have a great journey as I did. 4-months internship at QBE Insurance Company under Project GIIFT has provided an excellent platform for me to explore the world of GI. Throughout the period, I was given the task to analyse the loss ratio of the company which had helped in my Microsoft Excel skill. This allowed me to apply the theoretical knowledge learned during my degree into practical works. Thank you PIAM for this precious opportunity. I am blessed and thankful to be part of Project GIIFT because this program has given me the opportunity to learn more about General Insurance Industry and experience working life. The internship was a worthwhile experience and I feel that it has prepared me well for my future career. Etiqa Insurance Berhad is a great company. I enjoyed myself to the fullest, which along the way my interest on insurance industry grows even more. Project GIIFT is an excellent platform to gain exposure on insurance related work. To future interns, do enjoy this once in a lifetime experience. GIIFT is a great platform for graduates to explore the world of general insurance. I am fortunate enough to be joining the industry right during phased liberalisation period. I was exposed to various insurance’s lines of business in life and general and how product policy is underwrite during this 3 months internship. It was an enjoyable journey and had surely pushed me to learn more. I am glad that I was given an opportunity to undergo GIIFT Internship program. Through this program, I have learned a lot about General Insurance industry and my perception towards GI has changed where before this I had almost zero interest about this industry. My appreciation to PIAM for this opportunity. I have learned how to work systematically, be meticulous in my work and the importance of communications. I am of the view that a career in general insurance is a gateway to a bigger career path. GIIFT Program provided me the exposure in the industry and allowed me to open up to the real world. The three months experience working in Bodily Injury Claim Department has been an eye-opener for me. I have learned how to deal/negotiate like a lawyer, investigate like a detective and to diagnose like a doctor. Join GIIFT and find out more for yourself. GIIFT Program has provided me a great experience in the world of general insurance before stepping into the real world. QBE Insurance has given me great hands-on experience with the guidance of friendly and helpful colleagues. I have learned a lot of things and skills and have improved myself day by day through the training. Being a part of the GIIFT Program as a first-year student is indeed challenging, but it's also eye-opening and motivating. I came in not knowing much about the industry, but left with all sorts of new skills and insights. I'd say this experience has given me a rough idea of what I could do in the future and I feel motivated! Project GIIFT is really a good platform for students to explore general insurance industry. This internship experience had changed my perception about general insurance. I realised that this industry is another option we can consider to build our career. Thank you PIAM for giving me such a wonderful opportunity. Project GIIFT is a great platform for undergraduates to have a better overview of the general insurance industry. I had gained invaluable insights and experiences throughout this internship with the guidance from my colleagues. I will certainly recommended this to my friends. GIIFT is a really beneficial program to join as it provides me the exposure to the world of General Insurance. I definitely have gained a lot of knowledge, experiences and technical skills which will be very useful in my future endeavour. As an intern in the GI claim department, processing and assessing claims are my daily tasks. Soft skills are much emphasized and it helps me to evaluate and improve myself. Besides that, a week in pricing team has allowed me to work on some programming. Thanks PIAM thanks GIIFT. GIIFT provides great opportunities for students who would like to give it a try in general insurance industry. I truly appreciate the opportunity given for me to gain insights into this industry and experience working life in an insurance company, especially, when the industry is busy preparing for phase 2 of phased liberalization of motor insurance. As this is my very first internship, Project GIIFT has been a good platform for me to obtain a clearer insight into the General Insurance industry and to widen my future career prospects. Overall, I gained a lot of experiences and knowledge throughout the three months of internship. GIIFT has definitely been a great and enriching experience. The 3 months internship had been a significant platform for me to improve my interpersonal skills and to get a better insight inyo the general insurance industry. Thanks to PIAM for giving me such a wonderful opportunity with lots of hands-on learning experience. It was a wonderful experience and I have learned a lot regarding general insurance throughout my journey at QBE. My appreciation to PIAM for the great opportunity. The only source of knowledge is experience. GIIFT will be a great platform for those who are interested to gain knowledge and experience in the general insurance industry. Project GIIFT has provided a great platform for interns to experience the real working experience in the world of general insurance. While, QBE Insurance company thought me the importance of hard work and skills that are needed in this industry. Give the best, and the best will come to you! From polishing soft skills to the development of jobs skills, this has been a truly rewarding experience. It is something precious that I will treasure for the rest of my life. I strongly encourage penultimate year students or fresh graduates to be a part of this amazing program. GIIFT Program gave me an enriching and fruitful experience which I ever had. During this 3 months internship in AIG, I have explored a different field which I did not learn in our course work. Being attached to the Claims Department in AIG, it was really an eye-opener for me to have a better insights into general insurance industry. GIIFT is great and thank you PIAM for this opportunity! During my internship, I have learned and gained a lot. The trust the company gave me alongside the work has definitely boosted my confidence. Project GIIFT created a platform for me to gain experience and to get to know more about general Insurance. General insurance Industry is definitely a great industry to embark on as a career. Project GIIFT has given me an invaluable opportunity to be part of AXA Affin. The people in AXA are not only friendly but also really supportive and I have learned so much from them. To my juniors, just have fun and do your work well and you will have a bright path ahead. GIIFT gives a great opportunity to be in the heart of where everything is happening in the General Insurance industry. Keep your heart and mind open, and be ready to learn. Contrary to the general misconception, the industry is intellectually stimulating and pushes us to always transcend ourselves. Project GIIFT is indeed a gift itself and it is certainly one which I am glad to have received. Rarely can you find such a wonderfully structured platform with endless opportunities for learning and development coupled with great mentors. The only limit here is the limit that you place on yourself. My internship at Tune Insurance was a great head start into the General Insurance industry. I felt more like a staff member than an intern. The work that I was assigned to was meaningful and engaging; it contributed directly to the reinsurance department’s current project. Thank you PIAM for this incredible experience! GIIFT is a well-established and exciting platform creating opportunities for students to explore and expose themselves to the GI industry. Hands-on experience will be valuable assets leading towards future career success. I am glad that I have performed well within my 3 months of internship, in exchange for fruitful and memorable experience. Reminiscing through the journey as an TMIM actuarial intern, it was a life-changing one. Applying technical knowledge, we compute pricing model but “What lies beyond profit?” is the final intriguing question. GI industry is about serving the community especially those in need. Thanks to PIAM and TMIM, I’ve had an eye-opening experience about this fascinating industry. Interning in the Claims department has given me a deep insight on how claims made by third parties are processed daily. From computer systems to solicitors; I was able to see how the insurance industry functions by encapsulating different field of studies. Project GIIFT by PIAM had been a priceless journey for me in exploring the field of general insurance. I am definitely completing my internship as a much better person, both professionally and individually. A huge thank you to PIAM and Liberty Insurance for this wonderful experience! As an undergraduate, I have doubts about the type of work or industry I would like to venture into. Project GIIFT offers the opportunity for interns to gain a deeper insights into the possibilities of the insurance industry. To quote Nike, 'Just Do It', you will never know if insurance is for you unless you try it. I would like to express my gratitude to PIAM for giving this golden opportunity to me to get involved and learned invaluable knowledge in GI industry. I was on rotation in several departments and had gained a lot of skills and knowledge through the tasks assigned to me under the guidance of my mentor. I would like to thank PIAM for the opportunity to explore general insurance industry. During my internship period, I have learned useful underwriting skills and processes. I would like to encourage all undergraduates to join GIIFT and experience a fun and interesting internship journey. It was a great and fruitful internship experience with the Finance Department. Through the various tasks assigned to me, I have gained better understanding about the operation of the Finance Department. GIIFT is a great platform to gain better insight into the GI industry. Throughout my internship, I have gained invaluable knowledge and fruitful experience. Thanks to PIAM and Etiqa Insurance for giving me this precious opportunity. My gratitude to PIAM for giving me this invaluable opportunity to venture into the GI industry! I have developed lots of skills and have a much better idea of what to expect after college. My internship has given me a greater understanding of what it is I have learned in the classroom, and given the opportunity to apply it in actual work environment. GIIFT has definitely increased my interest in pursuing a career in the general insurance sector. I would love to pursue a career in Human Resources /Talent Management which I have done my internship. Once again, thank you so much PIAM for an awesome four months opportunity! 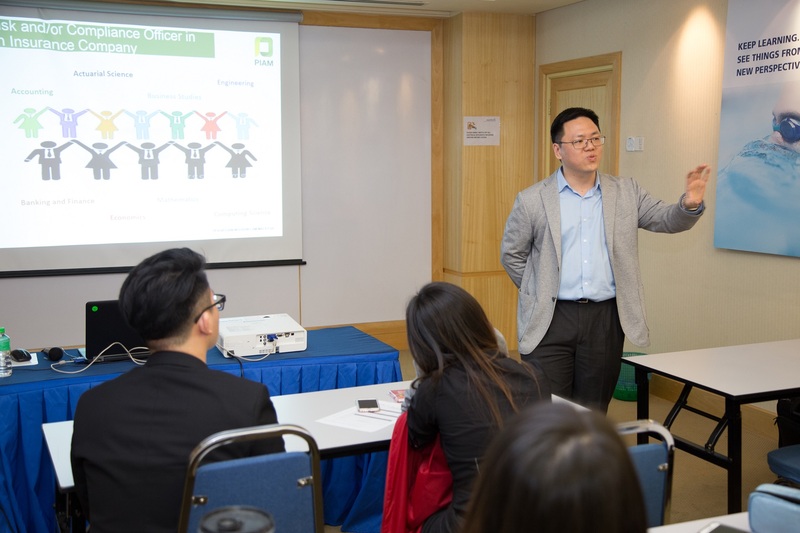 Through GIIFT Program by PIAM, I have gained valuable knowledge and exposure on General Insurance industry in Malaysia. I have also met a lot of cheerful and friendly colleagues, who were willing to share their inspiring stories with me. The 3-month internship experience here was truly amazing! Such a great experience to join the GIIFT Program! I have learned about the work nature of a GI actuary. The most exciting part is the networking opportunity to connect with others. PIAM’s GIIFT Program has given me a golden opportunity to put what I have learned into practice in the GI industry, and contribute to the daily operations of the company. I am fortunate to be selected to participate in GIIFT Program. This is a great platform for students to gain more insights into the general insurance industry. This experience and knowledge gained will help me in the future. My appreciation to PIAM and QBE Insurance for this great opportunity! I had experienced a wonderful and meaningful internship during this three months in AXA AFFIN. During this period, I had learned a lot of new skills that are not taught classroom. Being an intern in the valuation team, I have gained a great deal of useful knowledge about general insurance business. Thank you PIAM and AXA AFFIN for giving me this learning opportunity. During my internship, I was given the opportunities and encouraged to make certain suggestions/proposals under the guidance of my mentor. The internship was an amazing and worthwhile experience and it has prepared me well for my future professional career. I strongly recommend my juniors to participate in this GIIFT. It was a wonderful 12 weeks of actual hands on experience in QBE Insurance. I have learned a great deal from my mentor, from the fundamental to technical. GIIFT is certainly a great platform for young generation to learn about GI industry. GIIFT is a well-structured internship program. My 12 weeks internship with AIA Berhad in Actuarial Valuation Department has given me an invaluable learning experience. It has broaden my knowledge and insights in actuarial field and GI industry. It was incredibly fulfilling and fruitful. I will definitely recommend GIIFT for those who are considering a career in GI industry. I am glad to be part of GIIFT. I am fortunate to be able accepted to go through my internship with Zurich Insurance. I have explored, learned and gained unforgettable industrial experience and expand my networking. I would recommend GIIFT to those who are keen to pursue a career in general insurance industry. 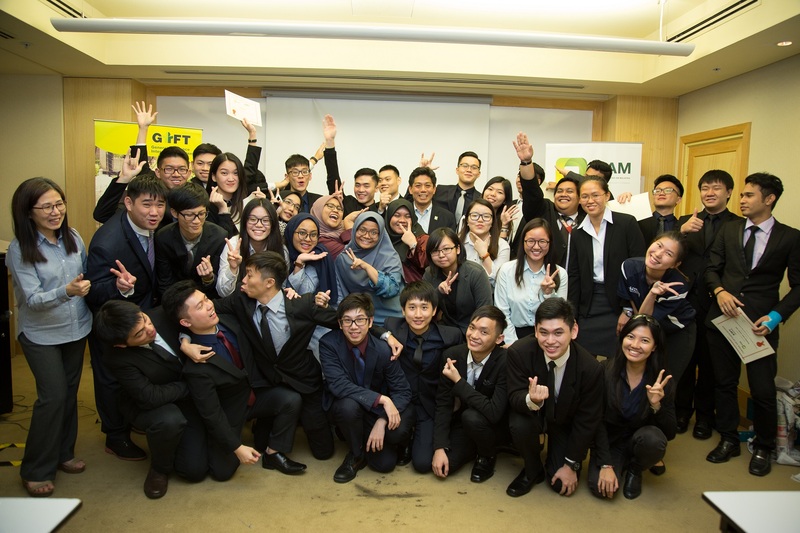 GIIFT by PIAM is a great initiative to expose new talent to the General Insurance industry. The program has given me first-hand insights into the industry and this experience has made my decision to join the industry much easier. I am certainly looking forward to pursue my career in the GI industry. GIIFT is a very good platform for us who wish to build our career in general insurance (GI) industry. As an intern in the Claims Department, I have learned to process third party claims. Undergraduates who wishe to explore the GI industry are encouraged to join GIIFT Program. Thanks PIAM for giving me such a great gift indeed. 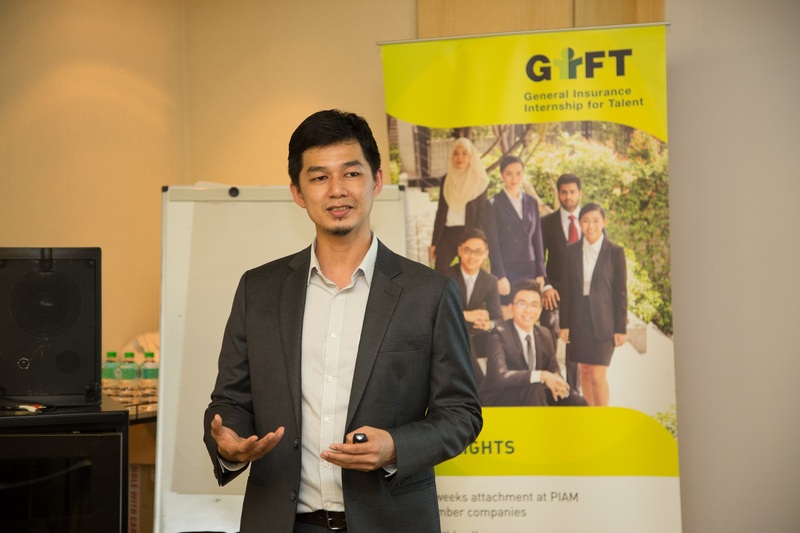 As a talent under GIIFT Program, my internship training in Great Eastern General Insurance Malaysia had provided me a great opportunity to be exposed to the current market liberalisation environment of the GI industry. I was able to understand the business operations better in moving forward. I would like to extend my gratitude to PIAM, for this wonderful experience that has enabled us to prepare better for our future work life. Finally, I would like to thank my mentor who has helped and guided me throughout my internship journey. GIIFT has allowed me to learn and discover great things. My learning experience with QBE Insurance will be one of my best. It has given me the opportunity to discover my strength and weaknesses. The GI industry offers stable career prospects and ample employment opportunities. Under an employee-friendly environment, my mentor and colleagues took time to guide me throughout my internship. Project GIIFT is a good platform to raise awareness amongst undergraduates. I'm glad to get the relevant exposure trough GIIFT. General Insurance industry is a vibrant and growing sector which offers vast career opportunities. I would like to thank PIAM for reaching out to undergraduates through GIIFT Project. It has indeed given me an insight on how it is like to work in the general insurance industry. It has changed my perception on the general insurance industry as a whole. I was given the opportunities to learn and pick up a lot of experience and skills throughout this 12-weeks well-structured program. I will definitely consider GI as one of my career options. Project GIIFT is such a great awareness enhancing program that helps interns know the industry better. I have learned so much during my attachment with the Sales & Marketing Department. The GI industry offers stable career prospects and I would like to consider GI as one of my career options. GIIFT has been a great an enriching experience. It has provided me a platform to gain experience and learn about the General insurance industry. Overall my three months experience with Great Eastern General Insurance was amazing. As an intern at Liberty Insurance Berhad, I have always been given different exposure each day. My experience here is really essential in shaping me to be the best that I can be. I have had plenty of experience working in the finance field but the experiences that I am getting here are different. I am learning how to complete a variety of tasks that I wouldn't normally do and the knowledge that I learned will truly help me to develop my career later on in my life. GIIFT has given me opportunity to be part of Malaysian Reinsurance Berhad. I was given the opportunity to join the International Treaties Department. I have learned a lot and gained more knowledge about reinsurance particularly the treaty operations. Thanks to PIAM and Malaysian Re for the invaluable opportunity. As a Finance and Banking student, I had no idea what General Insurance has to offer. Thanks to GIIFT, I have learned a lot from my mentor and the company as well. My 3 months internship at Malaysian Re has given me the opportunity to experience, practice and understand the processes under the guidance of my mentor, supervisor and colleagues. Thanks to PIAM for this amazing experience and it will definitely help me to prepare for my future career. GIIFT provided me a great platform to gain insights into the general insurance industry. Under the patience guidance from my mentor and colleagues, I attained valuable knowledge and skills that will be beneficial for my future career preparation. It was truly an enriching experience and I am lucky to be part of the program. My internship experience turned out to be an enriching experience beyond my expectation. It provided me with insights and a better understanding on general insurance industry. I am thankful to have been part of GIIFT Program as it is certainly a rewarding journey. My internship journey at Lonpac Insurance was awesome. Through the rotation system, I have the opportunity to gain exposure and relevant knowledge at various departments within 3 months. I certainly look forward to working in GI industry in future. My four-month internship at the International Treaties Department of Malaysian Re was an eye opener and has given me opportunity to learn more about reinsurance business. My appreciation to GIIFT and Malaysian Re for this wonderful experience. Project GIIFT has allowed me to expand my knowledge on general insurance industry. I believe that the General Insurance industry has a lot to offer as it is a growing industry. Thank you PIAM for giving me this opportunity to take my first step into General Insurance industry! Prior to this internship, I have zero knowledge about general insurance. Through GIIFT, I was able to gain useful knowledge on claims. This exposure has further enhanced my interest to pursue a career in claims. I will be forever grateful for the opportunity given to me to join GIIFT. It has allowed me to explore more on general insurance. I had a wonderful internship experience at Lonpac Insurance and I realised besides Actuary, I have many other career options to consider in the GI industry. Every day was a new learning experience. Through Project GIIFT, I got to know the GI industry better. It was an extremely fruitful and enriching experience for me. I would encourage my friends to participate in GIIFT and not to miss out on this fantastic learning experience. My sincere gratitude to PIAM for the opportunity given. Being able to participate in GIIFT was definitely a great experience. I have gained so much GI knowledge during the three months period. I would strongly recommend GIIFT to those who are interested to explore / pursue a career in GI industry. To be part of GIIFT was a great opportunity for me to learn about the General Insurance Industry. It was also a beneficial practical experience through internal trainings and learning from experienced industry practitioners. I am fortunate to join Great Eastern General Insurance Malaysia for my internship. This internship has allowed me to hone my skills in insurance business. Besides, I really valued the experience as an intern as it has helped me to develop skills of communication and teamwork. I will certainly pursue my career in the insurance industry after my graduation. GIIFT has given me an opportunity to explore the real working environment in insurance industry. I am grateful to my the support and guidance from my mentor. GIIFT is a good platform for us to understand and enrich their knowledge about General Insurance Industry in Malaysia. 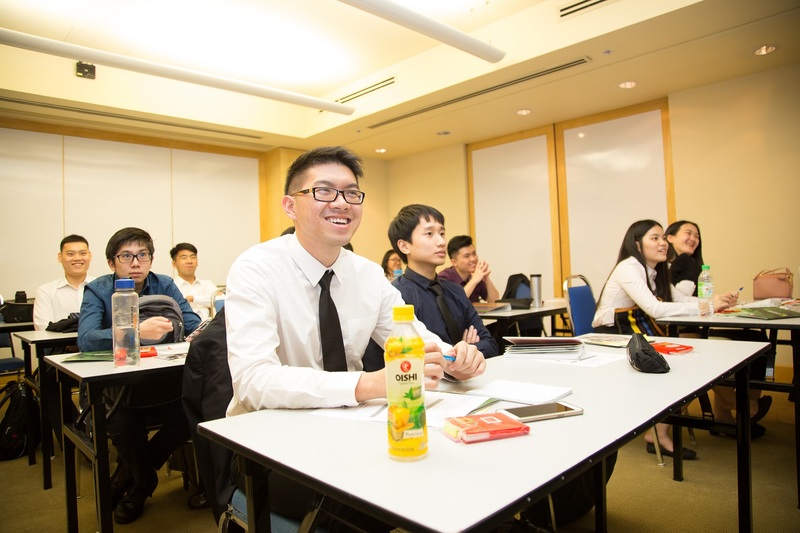 GIIFT provides a one of a kind early introduction to the General Insurance Industry as a whole, providing first-hand experience to all those who are unaware of General Insurance Industry, and it offers excellent career choices. To all interested undergraduates out there, I would encourage you to participate in GIIFT and be a part of this exciting experience. GIIFT is an excellent platform for students to gain experience in general insurance industry. Throughout my internship, I have learned some useful technical knowledge as well as soft skills which will certainly help me in my future career. Thanks to PIAM for this amazing experience. PIAM’s project GIIFT has allowed me to hone my skills, especially those in actuarial science, and provided me the exposure in the general insurance industry under the guidance of experienced, brilliant, and like-minded professionals at AXA Affin General Insurance Bhd. It has been a truly eye-opening and rewarding internship experience. Apart from working in the Actuarial Department at AXA Affin General Insurance, I was also given the opportunity to handle matters relating to Big Data in the industry. It was truly an amazing experience and this has given me a kick-start before stepping out into the workforce. Along with the dedicated guidance by my mentor, I was blessed to have this opportunity to gain comprehensive knowledge and valuable hands-on experience with QBE Insurance Malaysia Bhd. It was an eye-opener for me getting to know the General Insurance industry. Thanks to PIAM for this well-structured internship program. GIIFT is definitely a well-structured internship program which has given me a better understanding about GI industry. Throughout my internship, I have gained relevant and valuable experience within the GI industry. Thanks to PIAM for this wonderful opportunity which would prepare me for my future career. The training at Liberty Insurance has helped to enhance my soft skills, and strengthened my understanding about the business nature of the GI industry. The exposure I gained under the guidance by industry practitioners are indeed invaluable. I have learned about the fundamentals in General Insurance during my internship at AIG Malaysia. The GI industry offers vast career opportunities which young graduates should explore and consider. GIIFT is a platform for undergraduates to know how the General Insurance Company operates. I have gained invaluable knowledge and memorable experiences throughout of internship. I strongly encourage undergraduates to join this program. My sincere appreciation to PIAM and Liberty Insurance for an awesome four months experience and I am proud to be a part of GIIFT. It was a great opportunity to participate in GIIFT Program, which is well structured and professionally administered and executed. I have developed considerable amount of experience working under the proper guidance of my mentor and facilitators. It was a very good exposure to this dynamic working environment in GI industry. GIIFT has provided us the opportunity to immerse ourselves into the daily operations of insurance companies. I’ve learned how premium of an insurance product is calculated, was exposed to different classes of insurance and many more. It’s an excellent program for those who are interested to explore working in the general insurance industry. It was truly a pleasure participating in GIIFT program as it has given me a chance to explore and understand what it was like in the corporate world. It has given me the opportunity to accumulate experience which wouldn’t be possible without the help of this internship program. Under GIIFT program, I acquired hands-on experience that cultivated understanding in the job prospects of working actuaries. Furthermore, I was exposed to the corporate structure of a business organization, a valuable knowledge for me to have. In my opinion, this program is the best of its kind! PIAM’s GIIFT program has provided me a first-hand and valuable opportunity to learn about the insurance industry. I had learned the analytical and presentation skills which will certainly be useful to my future career. GIIFT program has provided us with insights into and new perspective on the General Insurance Industry. This will better prepare us for future careers in the industry. Throughout my internship, I have learned about various terminologies and techniques that helped me in my work. Through the exposure given I have gained a better understanding about the insurance industry. GIIFT has provided us with a good platform to know more about the GI industry. My learning here had been very fruitful. It helped broaden my knowledge in GI industry. Extremely grateful to GIIFT for reaching out to the undergraduates and for providing the opportunity to explore the General Insurance industry. It had been an eye-opening experience and I have gained hands-on experience which we do not learn in the classroom. I will definitely consider pursuing my future career in GI industry. Through GIIFT, I have gained insights into the industry and learned a lot of practical knowledge from my mentor. I managed to sharpen my soft and hard skills and get well prepared for my future career. General Insurance is an interesting industry and it is definitely an industry worth exploring to pursue future career. As an intern in GEGM I have attained valuable knowledge and skills that will be beneficial in the future. It was an eye-opener for me to have a better understanding of General Insurance industry. Thanks for the opportunity which enable me to gain such an enriching and fruitful experience throughout the journey! This is my second internship under GIIFT and I’m grateful for being able to explore more about the GI industry. I would encourage students from all study disciplines to join this internship program as well, as you may eventually realise that working in the insurance industry is your true calling, as I have started my career in this industry immediately after graduating. The exposure to real working environment has equipped me with beneficial practical skills. The valuable experiences I have attained will be a merit to my future career. GIIFT is a great platform for undergraduates to have a head start in General Insurance industry. Very grateful to Liberty Insurance and PIAM for such a great learning opportunity. My learning experience in Zurich General Insurance was really amazing as I have improved in my reporting and excel skills. This industrial training was indeed a good exposure for me, thanks to my mentor and colleagues for their patience guidance. I would like to thank PIAM for the opportunity and encouragement for being a part of GIIFT program. My internship has given me a comprehensive working experience in the Finance and Accounts Department. I really valued this experience as it helped me to develop skills of communication and appreciate teamwork. GIIFT is a good platform for the students to know how general insurance industry operates. You will experience more than what you’re expecting. My internship has provided me the opportunity to gain invaluable experience in product development. I am glad to participate in this internship opportunity and have better understanding of general insurance industry. GIIFT program has given me a wonderful first-hand working experience in the general insurance industry. I was involved with projects that enhanced my soft skills and refined my technical skills along the way. I am grateful that such a platform exists to build and nurture our understanding of the industry. Interning under GIIFT program has provided me with great insights into the world of General Insurance. Working hands on with the underwriting team was indeed a great and meaningful learning experience. Being a part of GIIFT program has given me the opportunity to learn and experience the daily working life in the general insurance industry. I am grateful to have made wonderful friends and colleagues during my time at AIG. I would like to thank PIAM and AIG for this amazing opportunity. PIAM’s GIIFT program has provided a golden opportunity for an undergraduate like me to experience what it is like to work in a General Insurance company. Apart from the many technical skills which I have learned, this exposure has definitely built my character and developed my understanding in GI. Participating in GIIFT has proven to be an important experience that I will never forget. Through experiencing the numerous aspects of the General Insurance industry, I am able to narrow down my future career aspirations and subsequently work towards achieving this goal. Moreover, I have gained interpersonal and technical skills that are paramount for success regardless of what profession I am in. 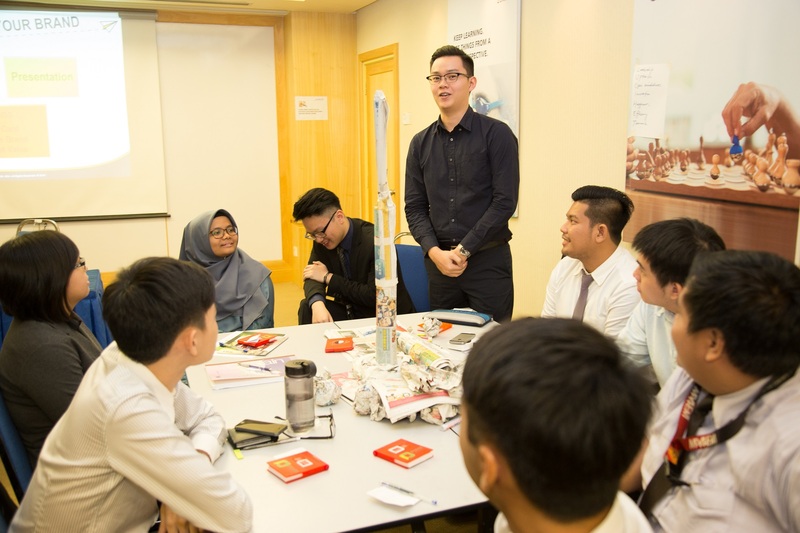 During my internship in AIA General Berhad, I have learned to apply what I have learned in the real world as well as being creative in solving problems. I have also learned not to give up easily and keep learning. Thanks to GIIFT for this wonderful exposure and great experience. GIIFT is a great platform to explore and expose myself in the General Insurance Industry. Many skills were developed throughout my internship which will prepare me for my future career. Thanks to PIAM and AmGeneral for this amazing opportunity! Truly a blessing to have an opportunity to experience a real-world work environment through GIIFT. I was able to apply the knowledge I have learned in class into my work, learned from my mentor and appreciate the importance of collaborative work environment while having fun in the process. GIIFT Program offers a great start for me to explore more about general insurance company and to prepare for my career. Being a part of the actuarial team at Malaysian Reinsurance Berhad, the 3-month training has given me a better insight into the industry. It was an amazing experience working with the experienced practitioners of the industry. Thanks PIAM for this great opportunity, and Malaysian Re for the invaluable experience. It was a great learning experience as an intern under GIIFT. I have gained leadership and other soft and hard skills from my mentor and colleagues at Liberty Insurance. This will certainly be very helpful in my future career. GIIFT program has given me an opportunity to enhance my understanding on General Insurance industry. I have gained comprehensive knowledge and skills under the guidance and support from my mentor and colleagues. I would like to thank PIAM and AXA Affin for giving me this wonderful opportunity. GIIFT is a great platform for us to know General Insurance industry better. I have enjoyed working here as everyone treated me well. With proper guidance from my mentor and colleagues I have gained invaluable knowledge and enhanced my soft skills. This great exposure would definitely benefit me in my future endeavor. My appreciation to all involved. GIIFT has given me a good introduction into the insurance industry and it has solidified my interest to pursue a career in this industry. I managed to pick up various programming skills through this internship and I am certain that this experience can be put into good use in the future. My internship experience has been nothing but an amazing journey. It developed my skills and qualities that I can put to good use in the future, and through this program, I was exposed to amazing people. I am grateful that I was a part of this program as it has been very rewarding. AXA Affin General Insurance’s Digital Department and GIIFT are playing an important role in completing my internship with great experience. Every day is a new learning journey for me. I’ll definitely look forward to working in this industry in future after completion of my studies. Working with the Digital Team in the Marketing Department has been a rewarding experience. GIIFT has given us an opportunity to know more and clear our misconception about General Insurance. I would encourage other interns to join GIIFT program because this is an excellent internship platform. My appreciation to PIAM for the internship opportunity at AXA Affin General Insurance Berhad. I have gained a lot of valuable experiences, knowledge and enhanced my technical skill. The experience gained is practical and useful for me. I am grateful for this amazing internship opportunity. The working experience has given me a lot of insights into the industry. I hope GIIFT program will achieve its goal to attract more talents into the insurance industry. I've learned a lot in terms of project management. It had never occurred to me that there is a career as a graphic/video editor in a General Insurance company, but now I can see the career path here. I highly recommend interns to participate in this well structured internship program. GIIFT program has given me an opportunity not just to learn about insurance, but also the business operations of an insurance company. Being part of the analytic team, I've learned some highly demanded IT skills that are required by the industry but not covered in my University’s curriculum. GIIFT has allowed me to gain better understanding on General Insurance as a whole. Throughout the internship, I learned some of the basic skills in handling big data such as Excel and SAS. It was truly an eye-opening experience and I will definitely recommend this to everyone. GIIFT is truly a great platform for students to gain insights into the general insurance industry before stepping out into the workforce. Job-related skills were developed during my internship and I find it a rewarding experience to be able to network and guided by experienced and like-minded professionals. I am honored to be part of PIAM’s GIIFT Program. This structured internship program makes the internship experience for undergraduates relevant and fruitful. College equipped me with the necessary theoretical skills; GIIFT equipped me with real-life practical skills such as communication and adaptability which I am lack in. From the bottom of my heart, I truly think that GIIFT is a great training and awareness enhancing platform for fresh graduates and undergraduates. Participating in GIIFT program has given me a lot of practical knowledge and experience in insurance industry. The training has helped me to practice/applied what I have learned in my work. Thanks to my friendly and committed mentor and colleagues for their guidance. I would like to encourage undergraduates out there to join and be part of GIIFT program. GIIFT program provides interns with the exposure and hands on experience of working in the general insurance industry. This is an industry with great future work prospect. I surely encourage all interns to participate in this program. It was a great opportunity to participate in GIIFT program. The training at Liberty Insurance Berhad has helped me to enhance my soft skills and my understanding about the business nature of the GI industry. Thanks to PIAM for this rewarding experience and opportunity. Joining PIAM’s GIIFT Project is such a great experience to me. It has allowed me to enhance my skills and gaining more knowledge regarding the insurance industry. I am grateful to be surrounded with those supportive and helpful colleagues from AXA Affin General Insurance. GIIFT is being a good platform as an exposure for me before stepping out into the real work life. Project GIIFT is the best platform for students from all study disciplines to learn about general insurance. My appreciation to PIAM and QBE Insurance for the internship opportunity. I also experienced a lot of new things throughout my internship. I am grateful that QBE has assigned me to Marine Underwriting Department which is one of the business units I have been wanting to venture into. It’s amazing to find out there are so much more to explore in the GI industry. 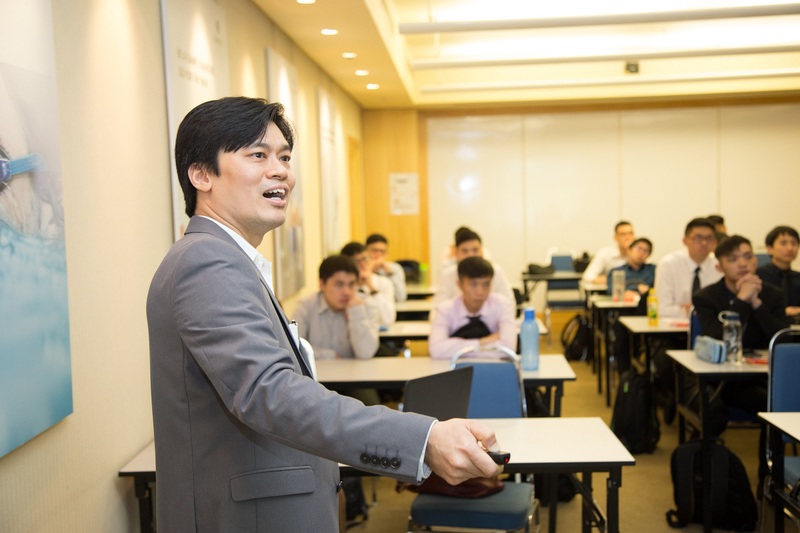 AIG Malaysia has provided me with tremendous exposure and hands-on experience. My internship simulated real-life working situation, where I was entrusted with the same responsibilities to that of a full-time employee. This has helped hone skills that will be immensely useful for my future career advancement. GIIFT is a good opportunity for undergraduate like me to explore and gain knowledge in general insurance. Apart from that, I enjoyed doing my internship at Liberty Insurance as my soft skills and social skills are enhanced during training process. Throughout my internship, I have learned that there are many opportunities available in the General Insurance (GI) industry. It also allowed me to better understand the professional and work ethics to prepare me for future career. Overall, it was a well-structured program and it has been a wonderful journey for me. The internship opportunity I had with GIIFT was an excellent opportunity to learn and develop new skills. It was a great exposure to the real working environment. And I am proud to be one of the participants. GIIFT has provided students a chance to explore the GI industry under the guidance of excellent, knowledgeable and dedicated mentors. Many skills were developed and honed throughout this internship. I am grateful to GIIFT as it enables me to prepare for my future career. I am really grateful to be part of the GIIFT experience, gaining exposure and working experience in the reinsurance industry. Thanks to the awesome Analytic team in Hannover Re, I have learned practical hands-on skills and given opportunities to worked on multiple innovative projects. GIIFT project provides great exposure for interns in the general insurance industry. It allows me to work with and guided by experience and like-minded professionals. Throughout the internship, I was able to develop my technical and soft skills. It was an eye-opening internship experience and I will certainly recommend it to my friends. GIIFT provides an excellent platform for us to understand GI industry. It allows me to get valuable hands-on experience. If you are interested to explore/pursue a career in GI industry, I would strongly recommend you to participate in GIIFT. 4 months of actual working life at QBE Insurance has helped me to learn about General Insurance. All thanks to the opportunity given by PIAM and QBE. The training experience gained during my internship period made me eager to learn more. 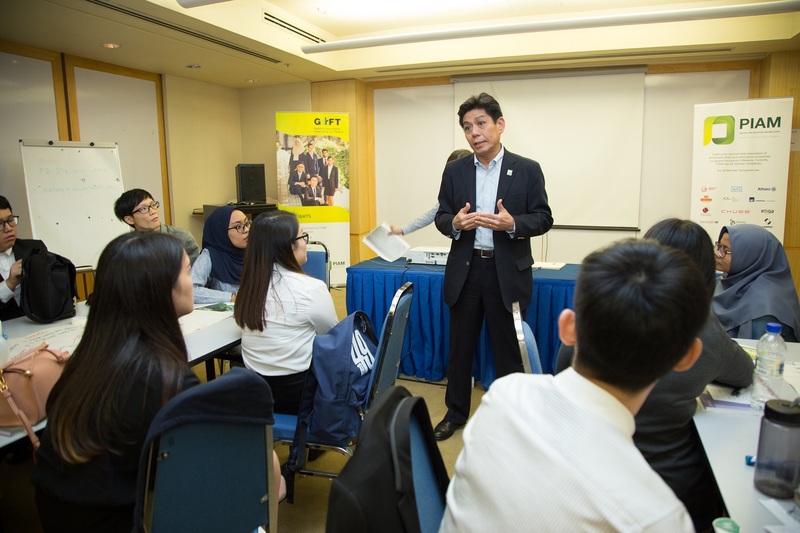 Meanwhile, Project GIIFT is a great platform to introduce undergraduate to General Insurance and I hope this will attract more young talents to join the industry. GIIFT Program is the first stepping stone for me to have a more in depth learning about the world of General Insurance. Along with the dedicated guidance from my mentor and the team, I was blessed to have this opportunity to gain comprehensive knowledge and valuable hands-on experience at QBE Insurance Malaysia Bhd. Most importantly, the internship has given me a better outlook into what I would want to pursue in the future. Thanks to PIAM and QBE for this well-structured internship program. 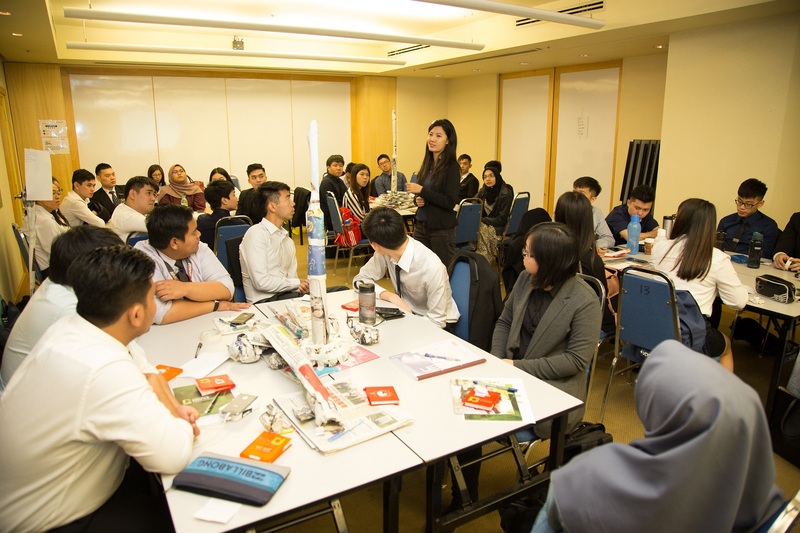 GIIFT is a good platform for students to experience the work culture and gain better understanding about GI industry. As a trainee at AXA Affin Insurance Digital Department, I learned about the importance of team work and given great exposure in problem solving techniques. It was an amazing journey. GIIFT is indeed a well-structured program and an awesome learning platform. I am lucky to be under the guidance of a team of wonderful and passionate mentors who provided me the best guidance. Interning in the pricing team has given me a great hands-on learning experience in actuarial field and GI industry. GIIFT and AIA have provided me a platform to learn new knowledge. I truly believe that GIIFT will be able to help boost talent development in the General Insurance industry. Thus, I highly recommend students to join this project and gain precious practical experience from the industry. I truly appreciate PIAM’s effort to provide us with as much exposures through attending the Induction Courses and seminars. It was an eye opening experience. This is also a good platform to start building our own network and hence I strongly suggest students to join PIAM GIIFT project. GIIFT is a well-structured program and a great platform which provide better insights into general insurance industry. I am grateful to be a part of this program. Besides that, this training has helped to develop and enhanced my soft skills, boosted my confidence to interact with my colleagues. It was a wonderful internship experience with AmGeneral compliance team. Many thanks to PIAM and AmGeneral. GIIFT has exposed me to the operations and work culture in an insurance company. The first day of the Induction Course was fun and exciting because of the activities and simulation of actual scenarios that was organized by Mr Zen Lee of Equonxo Training Consultancy. The second day helped me to get an insights into the various business units such as business development, claims, loss adjusting, underwriting, reinsurance, MII and compliance & risk management. In conclusion, I would like to thank PIAM for this wonderful opportunity. It was a great learning experience. I had gained more knowledge on GI industry. GI industry provides career opportunities for fresh graduates. I would encourage other interns to grab this opportunity to learn more about GI industry. It was an interesting experience where I get to apply what I have learned into the real working environment. My internship training has broadened my skills and knowledge and I am keen to learn more about the GI industry. I'm glad to be a part of Project GIIFT of PIAM and QBE as I have enhanced my knowledge and skills in many areas especially in insurance industry. My mentor has guided me well throughout my internship. During my training, I have learned that interns should be open for criticism in order to learn more and enhance their skills and knowledge. GIIFT is a great platform to discover and gain expose in the General Insurance Industry. The entire GIIFT program was so exciting, meaningful and beneficial to us. I have benefited very much from my internship training at QBE insurance, where I have enhanced my problem-solving and communication skills. GIIFT has provided a great platform to explore GI industry. I was exposed to the real business world. The knowledge gained and skills acquired through this internship will complement and enhance what I have studied in the University. Everyone here is very welcoming and willing to help. It was an amazing journey. Project GIIFT is absolutely a 'gift' to the interns. It is a good platform for newbies like me to experience the real work environment full of problems and challenges. This knowledge that I have gained will truly help me to build my career later on in my life. Thanks to PIAM and QBE for the wonderful opportunity.